T3 Agenda: Dynaudio's new Music multiroom system. Garmin's vívofit jr 2 fitness tracker for kids. RHA's Universal headphone range And more! Audio powerhouse Dynaudio has announced Music, a range of multiroom audio systems designed to simplify and enhance the music, film and TV audio in your home. It adapts seamlessly (and automatically) to any room or position, and to surrounding noise levels – so music always sounds its best. Music 1 (£450) is battery- and mains-powered. It has one 4-inch woofer and a 1-inch soft- dome tweeter. Music 3 (£575) is battery- and mains-powered. It has one 5-inch woofer and two 1-inch soft-dome tweeters. Music 5 (£700) is mains-powered. It has one 5-inch woofer, two 3-inch mid-range drivers and two 1-inch soft-dome tweeters. Music 7 (£875) is mains-powered. It has two 5-inch woofers, two 3-inch mid-range drivers and two 1-inch soft-dome tweeters. The Nokia 3310 is getting a brand new 3G version (which just launched in Australia) as well as a range of new colours to get you in the mood for its retro-themed aesthetic. Available in October (UK pricing to be confirmed), the Nokia 3310 3G combines the talk and text appeal of the current model with a 3G data connection, meaning you can now enjoy the classic across more countries. The retro user interface has been improved to deliver an enhanced, customisable experience meaning you can now change the icon colours and positions. Pioneer has unveiled two new stereo receivers, the SX-N30AE and SX-10AE. 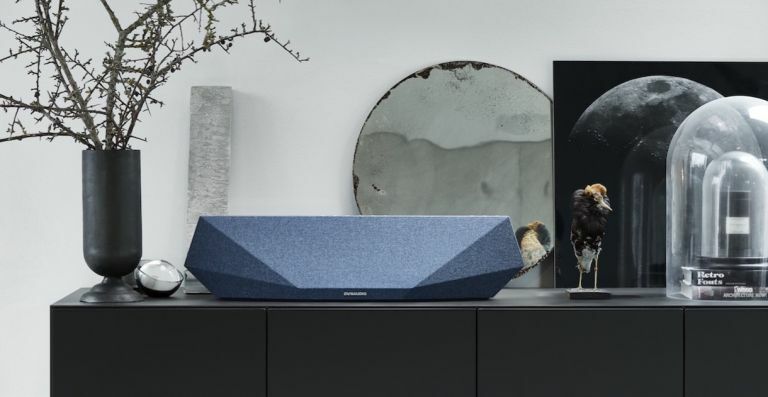 Both are equipped with powerful Direct Energy Amplifier technology and cater for a host of analogue and digital audio sources while also supporting Bluetooth (with in-built Wi-Fi connectivity on the SX-N30AE). What’s more, both models are fully equipped for wireless multi-room use, supporting FireConnect, DTS Play-Fi and Chromecast built-in, as well as being able to work with Google Assistant smart speakers. The Pioneer SX-N30AE will retail for £549.99, and the SX-10AE will be priced at £229.99. Both models will be available to buy from October 2017. British audio brand iFi has launched the Ear Buddy, a low-cost, plug-in headphone optimiser that cleans up the output signal of your device to better suit headphones with high sensitivity. It increases useable volume range (allowing for finer adjustment), lowers background noise and improves dynamic range. It is particularly effective with good quality in-ear headphones, noise cancelling headphones and in-flight entertainment systems. The iFi Ear Buddy is available now with a price tag of £20. Audio brand RHA has unveiled two brand new headphone models, the new MA390 Universal and S500 Universal, which deliver a sleek design and engineering with universal remotes for enhanced functionality. The new MA390 uses RHA’s Aerophonic housing design to ensure great sound at the company’s lowest price point. The new S500 has been designed for every ear and promises comfort and sound quality in a small, powerful package. The RHA MA390 Universal and S500 Universal are available now for £19.95 and £29.95, respectively. Garmin has teamed up with Disney for the new vivofit jr 2 fitness tracker, offering Star Wars, Marvel and Disney-themed fitness trackers for kids and cartoon-obsessed adults (with small wrists). Designed for comfort and 24/7 wearability, this swim-friendly activity tracker features a customisable color screen, a 1+ year battery life and comes with one of two kid-tough band options: a stretchy band for smaller wrists or an adjustable band for older kids. The vívofit jr. 2 is available for purchase at retailers nationwide and has a suggested retail price of £79.99 and £27.99 for each additional band.